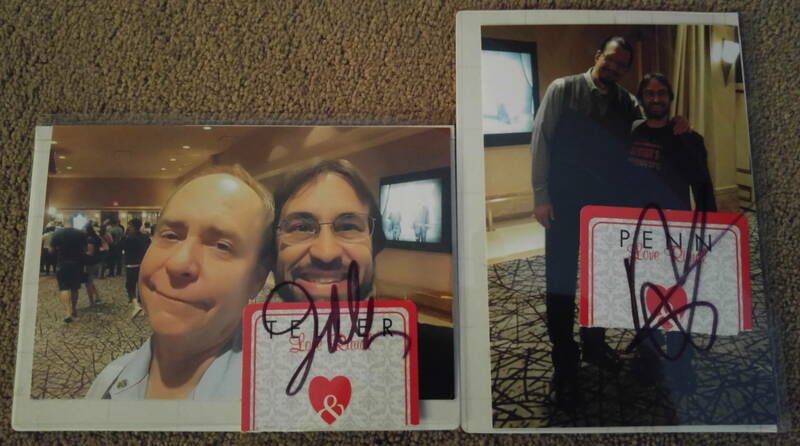 I know @pennjillette & @MrTeller wondered why they signed empty plastic sleeves. Here’s why! I am going to have a very big week at Knowledge16 in Las Vegas next week. Here is a summary of my schedule. Although I’m not listed on the program. I will also be one of the speakers for the talk From Notes to Now! As if that wasn’t enough, I will be manning the App Development booth in the ServiceNow Pavillion Monday evening and Wednesday morning. Come and see me at one or more of these places. All of them if you are crazy! If you won’t be at the conference, you can follow my exploits via Twitter at my work account. Knowledge16 is in just over two weeks. Is that delight or panic I feel? YES! See you in Vegas!